10 Tips On How To Create Viral Content. This interview with LazyCookie’s Sharon Chung was conducted and condensed by Maria Antonia of EntrepreneurHK (EHK). In our previous interview with LazyCookie, they’ve mentioned that they’ve managed to get 200K visits to their website in less than 25 days. We asked Sharon to share tips about generating website traffic. Try to have a friend in mind, if not then an imaginative person, before creating the content. What is the age group, education level, personality and taste in humor of this person? What is his/her social media habit? Find out what, how, when and where do they share. The more you know about your target audience, the more likely your content will be shared among their friends and families. 2. What Succeeded in the Past? Analyze your past successes (if any) and find out why it succeeded. Find out what kind of image and title worked. Instead of reposting the same kind of content and expecting a miracle to happen, keep studying and tweaking your formula until you get it right. Trial and error is all it takes until you grasp the taste of your target audience. Nothing that sparks no conversation is share-worthy. The Blue/White dress is a classic example. Think of it as a pickup line: is it too cliché? Or too cheesy? Can the counterpart respond to it? Make something interesting and possible for people to talk about. One LazyCookie HK example here: http://hk.lazycookie.com/5340/hong-kong-before-and-after-you-wont-believe-how-much-this-city-has-changed/ which sparked many nostalgic comments among both locals and expats, gained more than 5k shares in just two days. Check out LazyCookie’s Facebook Page. As dumb as it sounds, try not to offend anybody. With political content you can easily gain a highly engaged audience group, but at the same time you also risk losing a big chunk of people who has different political views. Your target audience is looking for something to kill time. Yes. But they also get distracted extremely easily. 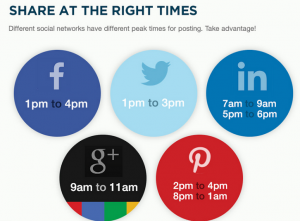 The average time they’d spend on your content ranges from 1 minute to 15 seconds. So keep it short and to the point. More than 60% of your traffic will be coming from mobile devices. So make sure your content is mobile ready. Join our 3,500+ entrepreneurs community and attend HK’s latest startup events. According to Viral Nova, Upworthy and our own LazyCookie , around 58-75% of your traffic will be coming from Facebook alone! Focus your efforts and resources on this distribution because it is definitely the most efficient one. Prepare to pay some cash for advertising. Especially when you have something you’re confident about, do not hesitate to spend a couple hundreds of dollars to make it flow. The sooner it takes off, the bigger the momentum. A rapid start can turn something that is good into something great. I’m sure you already know this so no explanation needed here. Last but not least, have lots of fun! If you aren’t even admiring your own content, nobody will. You can’t control the outcome but you can definitely control the process!